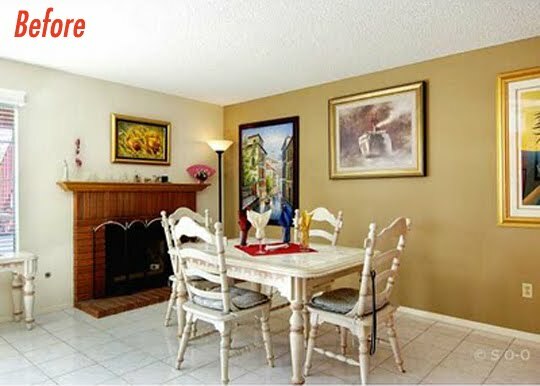 A Lovely Lark: Painted Brick - Tacky or Tasteful? 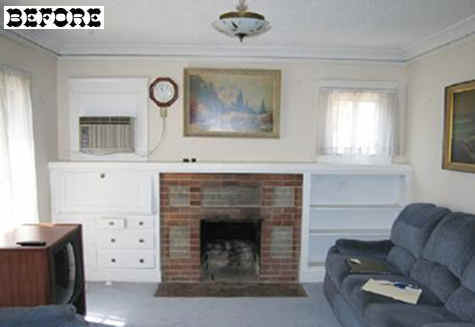 I recently came across an incredible fireplace before and after on the Nest via here and had to share. 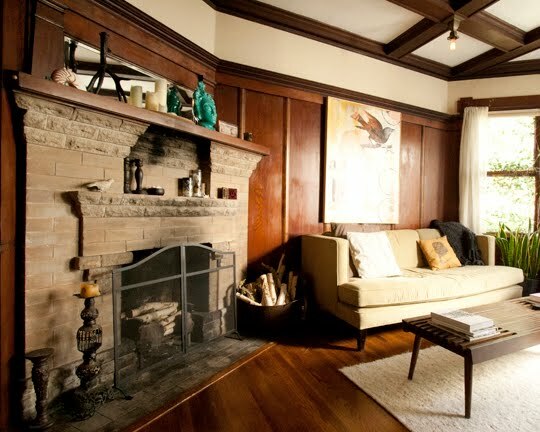 Kudos to them for taking the time to not only paint the fireplace, but also to strip all of that wood! I don't know if I would have had the motivation for that one, but what a stunning transformation. It's literally like a completely different space. Again, kudos to them for tackling such a HUGE project. It was certainly worth it, as evidenced by the light and airy after photo! 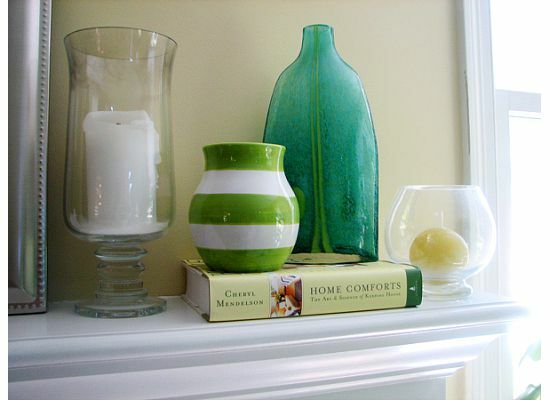 She updates her mantel decor seasonally, and it always looks so elegant and fresh. Which look do you prefer? 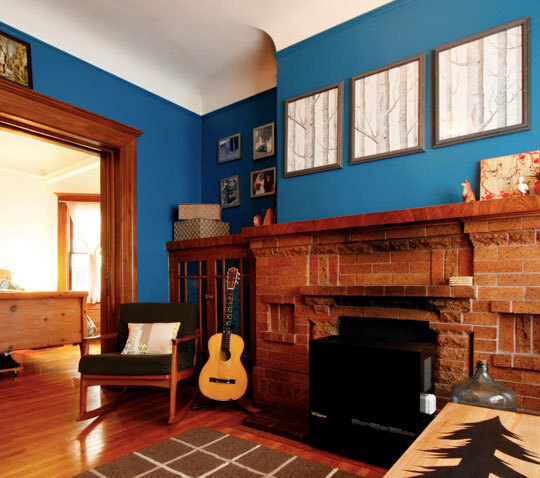 Natural brick, painted brick, or none of the above? They all look great! 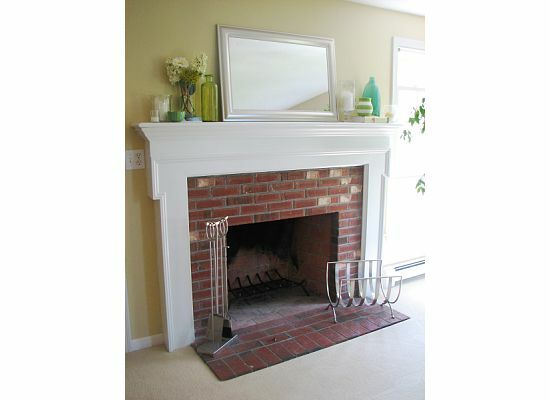 I really love fireplaces. We are thinking about re-tiling ours with slate. hmm... i really think it depends on the room. 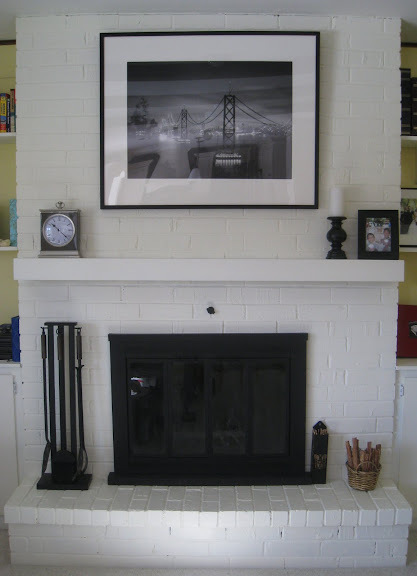 normally im not really fond of painted brick (dont hate me lol) but the pictures you found look really pretty with the painted fireplaces. although i do still like the 4th set with the natural brick better. my sister has a screened in porch that has one brick wall and my dad was trying to convince her to paint it the creamsicle orange like the rest of the walls and i like it better with the exposed brick. 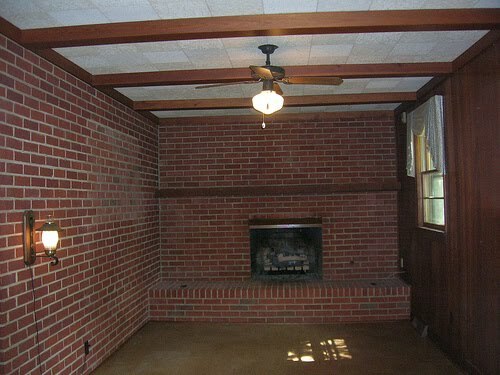 colored brick may be the problem. 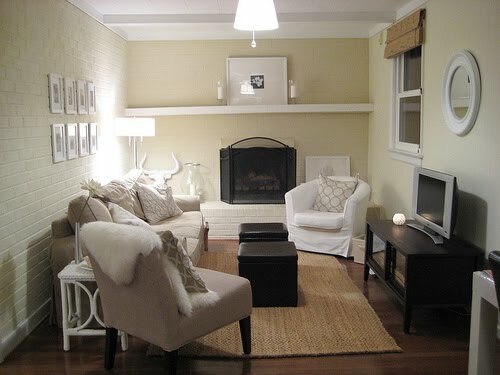 white brick is still beautiful and refreshing to a room. just a thought. 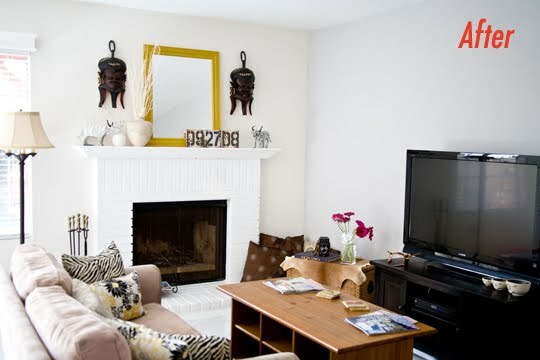 I love white painted brick! It looks so fresh and clean! 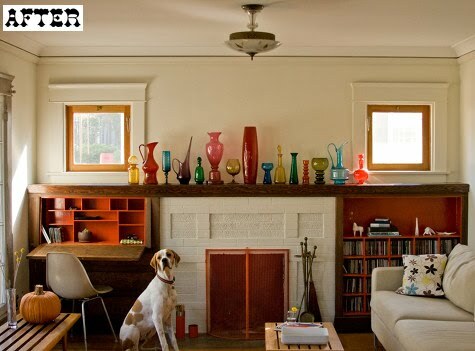 I love both looks, but it really does depend on the brick (certain types are just awful!). I can't really tell how I feel about my brick yet, but I plan on holding off any changes until I know what I want :).